UBC Food Distributors is urgently recalling its “Baraka Apricot Candies.” The candies are said to contain sulfites that have not been declared on the product’s packaging. Sulfites are used in food as a preservative, however, it is also considered as a common allergen. People who are sensitive to sulfites might experience an allergy attack if they consume the recalled apricot candies. The problem was discovered during a routine testing conducted in December by the state of New York. Results of the samples tested showed the presence of high levels of undeclared sulfites. Investigation of the problem showed that the cause of the problem was a temporary breakdown in the production process and packaging process of the company. 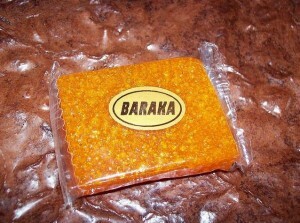 The “Baraka Apricot Candies” are a product imported fromLebanon and were distributed all throughout the country in various retail stores. The product has a net weight of 400 grams, or 14.08 ounces, and is packed in cellophane. The packaging indicates a 5/2013 expiration date that can be seen on the product’s front panel. Affected UPC code is 822514223719. Currently, there has been no illness or allergy attack reported that is connected to the recalled apricot candies. The FDA has already been informed about this recall by UBC Food Distributors. Production of the apricot candies has been suspended until the FDA is sure that the problem is corrected. Consumers who might have bought the recalled apricot candies are advised to return them to their place of purchase in order to be given a refund. They may also call UBC Food Distributors at 1-877-846-8117 for any concerns they might have about the product.